Sen. John McCain, R-Ariz., is in stable condition after undergoing surgery for an intestinal infection, his office confirmed on Monday. 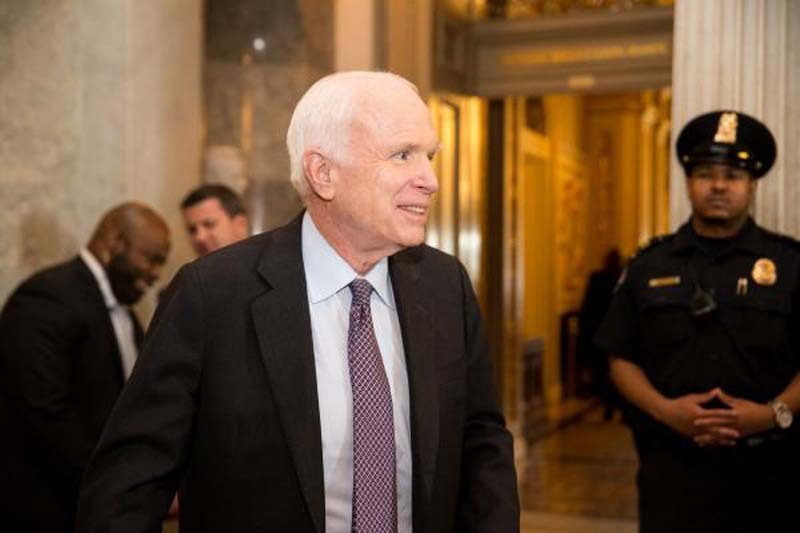 McCain was admitted to Mayo Clinic in Phoenix on Sunday and underwent the surgery, which was related to diverticulitis. "Over the last few months, Senator McCain has been participating in physical therapy at his home in Cornville, Ariz., as he recovers from the side effects of cancer treatment," McCain's office said in a statement. McCain's daughter, Meghan McCain, took to Twitter to confirm he is in stable condition. "[H]e continues to inspire me everyday with his intense grit and determination," she wrote. "Thank you to the doctors at Mayo Clinic in Phoenix and to everyone who is praying for him." McCain announced in July that he has brain cancer. His ffice said on Monday that he has "remained engaged on his work as Chairman of the Senate Armed Services Committee, and has enjoyed frequent visits from his family, friends, staff and Senate colleagues." On Friday, McCain applauded President Donald Trump's decision to launch air strikes on Syria. McCain has been a vocal proponent of U.S. military engagement in Syria for years and visited anti-Assad rebels in 2013 to show his support.